Fall, our most favorite time of year. Whether it be for a wedding, the holidays, or just to give thanks, a table set for loved ones can be inspired by the season. Feast your eyes, for we have gathered together our top Autumn Tablescapes. These rustic elements we used at The Polo Stables, such as forest animal plates and buck horns, bring a woodsy feel to the entire table. Add pomegranate, nuts, figs, apples, citrus, or any other seasonal produce to your table and place settings. We love a simple pear atop each person’s plate, as seen in A Winter Affair at Dunaway Gardens. 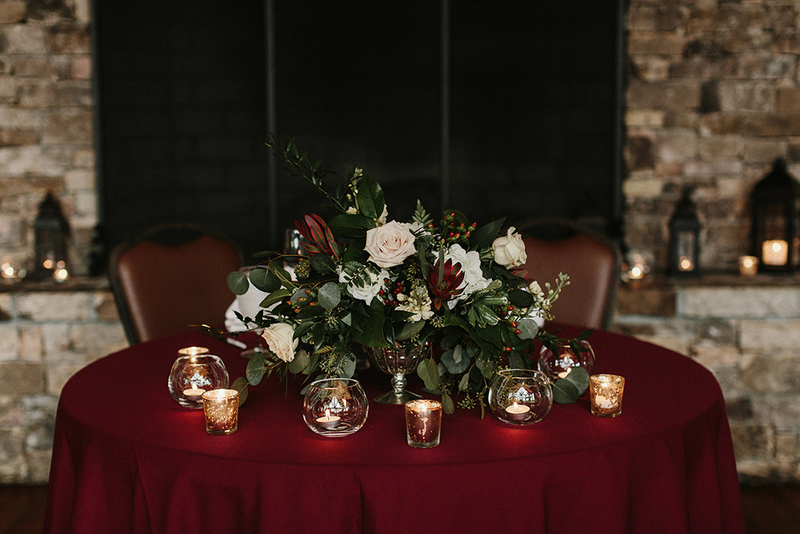 The berries added into the centerpiece by Rosegolden tied it all together. Not all floral and foliage has to be fresh. 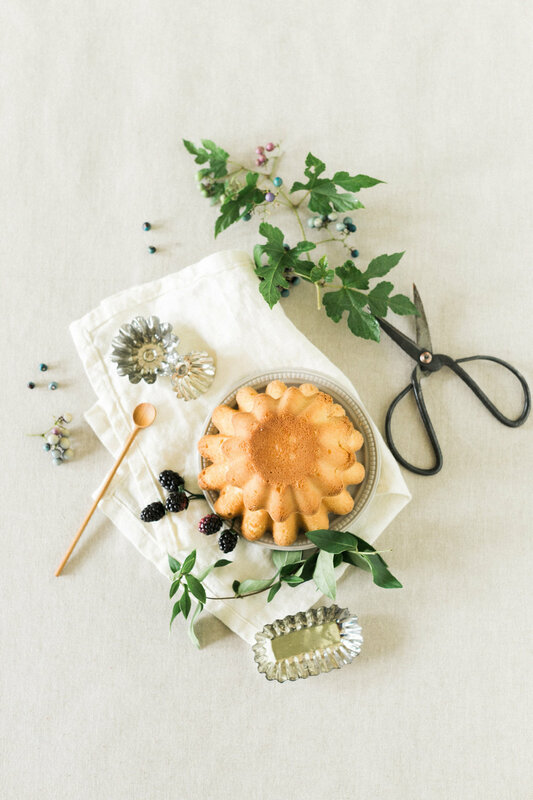 We’re obsessed with this centerpiece Lindsay Coletta created using dried leaves and hydrangea. A stick here and there also helps bring a little bit of the outside in. A deep cranberry, forest green, navy, or other jewel toned linen or runner creates a moody foundation for any Fall tablescape. We’ve used dark linens at many weddings, including Brittany + Nelson’s and Jenna + Simeon’s receptions. All the candles add to the mood and warmth the table. From tapers to hurricanes to votives, create a glow with all types of flickering light. We love clear glass cylinders, especially when they have some texture. Prepare a meal you can have table side or build a buffet fit for queens (and kings). We love the hearty meals we create with our friends at Sun in my Belly. What’s on your menu? Sure pies and cakes are delightful, but how bout a bundt? Kookie House has some amazing recipes for the sweetest of desserts. To see more of our Autumn affairs, visit our Journal or most recent Features. Or to inquire about your Fall 2019 wedding, please contact us.